The WAL2 from STid is a secure and flexible RFID smartcard reader that belongs to STid's range of advanced door access readers. Suitable for installation in European switch boxes (60 mm), the slim design of the WAL2 offers discretion and convenience for all high security access control applications. Designed to work with most standard door access systems, the WAL2 is connected and powered via a standard Wiegand or clock and data interface, and comes complete with a removable connector and standard matching faceplate. 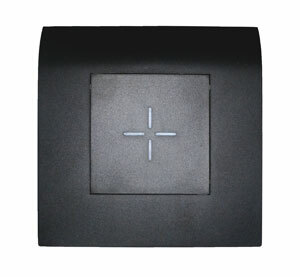 It is also compatible with Arnould Espace, Espace Evolution and Legrand Mosaic faceplates, to match the environment. Other interface versions are also available � please contact us for details. The WAL2 reader is normally supplied pre-configured to requirements. Customers can also purchase the optional SECard programming kit, which enables on-site configuration of all STid readers as well as management of encryption keys and encoding of user cards.